Apply to become a novice camellia judge. Requirements for becoming a Novice Judge are accepted on the “Honor” system. I do hereby make application to the American Camellia Society for appointment as a Novice American Camellia Society (ACS) Judge. Must complete and submit this form to ACS and pay $10.00 application electronically. By submitthing this form, I am certifying that I am a member in good standing of the American Camellia Society. If appointed, I shall abide by the rules and regulations established by the ACS and printed in the most recent edition of the ACS Camellia Show Rules and Regulations. 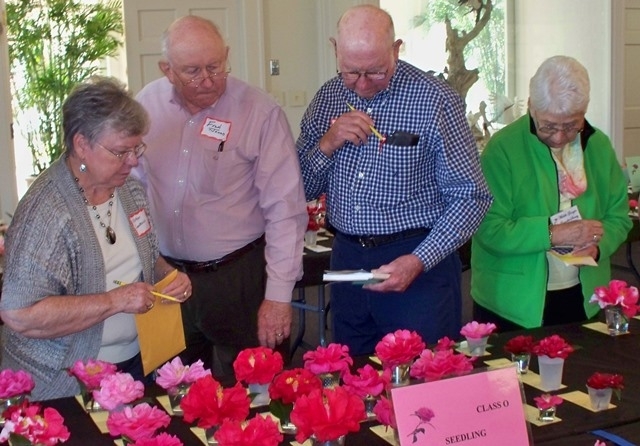 I understand that by submission of this application, I agree to have my contact information published on the Judges’ Roster (accessible online to members only) for the purpose of being contacted for show participation and to assist local camellia clubs or societies in the development of show programs. I certify that the information provided on this application is true and correct to the best of my knowledge.